The seam is the basic element of any garment and must be made with care. Although 5/8” is the standard seam width, always check your pattern for required width in special seaming situations. Some types of fabric, such as spandex or tricot will only require small seam allowances, so always check the pattern guideline. Seams should be backstitched at the beginning and end for reinforcement so they don’t come apart during wear. (1) Pin-baste the seam at regular intervals, matching notches and other markings. Place pins perpendicular to the seam line with tips just beyond the seam line and heads toward the seam edge. The reason for placing the pin heads toward the seam edge is so they will be easy to remove during the sewing process. (2) Hand-baste close to the seam line, removing pins as you baste. As your skill increases, it may not always be necessary to hand baste, but simply remove the pins as you sew with the sewing machine down the seam line. (3) Position the needle in the seam line ½” from the end and lower the presser foot. Backstitch to the end, then stitch forward on the seam line, close but not through the basting. Backstitch ½” at the end. If the seam was pin-basted, remove the pins as you stitch. Clip the threads close to the stitching. (4) Remove the basting thread. Unless instructions specify another pressing method, the seams are first pressed flat in the same direction as they were stitched, then pressed open. Some seams may need clipping or notching before being pressed open, such as curving seams. 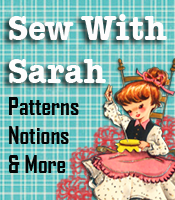 Next week we’ll cover the various types of seams that can be used. Does your book teach the sewer HOW to do these stiches? Many don’t. They name them, then assumes that the sewer knows how to do these seams, let alone even heard of them. Is this book for the TOTAL beginner? Thanks for answering my question. Thanks for writing. Yes our Basic Clothing Construction book tells you HOW to do the various stitches.